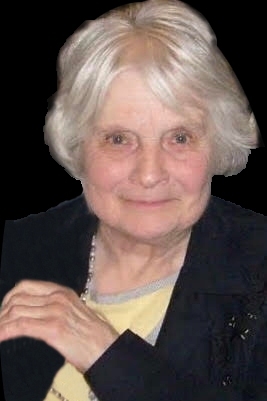 Portland—Dorothy “Dot or Dolly” Koenig, 90, died unexpectedly March 23, 2019 at home. She was born on April 10, 1928 in Portland the daughter of the late Samuel and Emma (Noel) Pelton. Dot graduated from Portland High School, Class of 1946. After graduation she worked for the City of Portland until 1955 in the Treasurer’s and Assessor’s Office. She met John E. Koenig in 1951 and they were married in May 1953 and had 38 years together until John’s death in May 1991. Dot was a homemaker, loving, kind and compassionate mother, grandmother and great-grandmother. She loved children and always took the time to make of them. Anyone who took her shopping knew she could never pass-up the bakery section and if you went for a drive, and she saw a “yard sale” sign, you had to stop so she could check it out. She enjoyed spending summers at the family camp on Crescent Lake in Raymond and napping in the hammock. She is survived by a daughter Janet (Koenig) Henry and her husband Reney Henry, sons Paul S. Koenig and Peter H. Koenig and his wife Catherine (Pallotta) Koenig. She is also survived by five grandchildren Alexander Koenig, Allyson (Koenig) Miller and her wife Rebecca, Jonathan Koenig, and Rachelle (Henry) Poulin and her husband T. J. and Charissa (Henry) Plourde and her husband Brandon. She leaves two beautiful great-grandchildren Madelyn Marie Miller and Jack Plourde. Visiting hours will be held 4-7 pm on Thursday, March 28, at A.T. Hutchins Funeral Home, 660 Brighton Avenue, Portland. A Mass of Christian Burial will be celebrated at St. Maximilian Kolbe Church, 150 Black Point Road, Scarborough, on Friday, March 29, at 10:30 AM. Private burial will be in the Raymond Hill Cemetery, Raymond, ME.